It is a time of change at iRobot. Ten years after the landmark release of Roomba, the robotic vacuum cleaner, the Bedford, MA-based company (NASDAQ: IRBT) could be considered the most successful robotics firm in history, even as it is trying to reinvent itself with new product lines. This reinvention comes amid big uncertainties in the U.S. defense budget—a longtime staple of iRobot’s revenues, which will top $450 million this year—as well as huge new opportunities in areas such as healthcare. 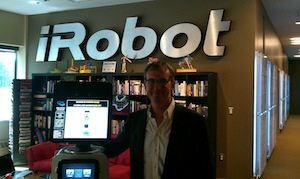 On a recent visit to iRobot headquarters, I sat down with CEO and co-founder Colin Angle for a wide-ranging interview. We talked about the company’s new robot, what inspired it, and its significance to the field of healthcare and to iRobot’s future. Angle also reflected on the ups and downs of building a company in the robotics industry, and how the field has evolved since iRobot started back in 1990 (originally called IS Robotics). 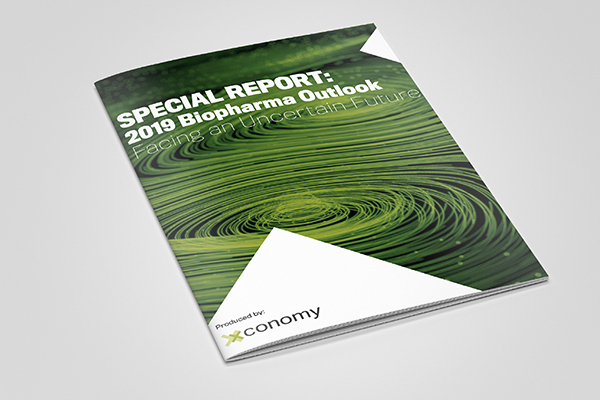 He expounded on lessons he has learned, some current issues and threats in the industry, and what it all could mean for the future. Xconomy: When people think of iRobot, they think of Roombas in the home and PackBots in the military. Where did the healthcare robot come from? Colin Angle: It’s been a long-term interest for me. When we did our first telepresence robot back in 1999-2000, we felt like if the technology could deliver a sufficiently compelling experience, then this [healthcare] was going to be an important application. The problem was, Wi-Fi was not ubiquitous, the bandwidth was not there, the systems that were built were more, I would call them “minutes of fun,” than useful tools for collaboration. X: So the technology has really come along in the past decade. iRobot’s equipment is awful. The batteries run out in no time. A not-very-old roomba can only run for 10 minutes or so. “In the end it’s refreshing to see that Angle, a tech celebrity and an iconic figure in Boston’s innovation scene, hasn’t lost his boyish love of robots. (None of these guys ever do. )” … or girls, and their girlish love of robots. Let’s not forget that iRobot’s cofounder was a woman who is now off building more robots.